If you will be traveling on the Midwest Rivers, you will be passing a considerable amount of commercial traffic in the form of towboats pushing long lines of barges. It is important to understand correct protocol when in a passing situation, including a familiarity with “whistle signals”. Whistle Signals were developed before the advent of VHF radios for communication between passing vessels, so that there would be no misunderstanding between them about on which side the vessels would pass each other. For example: If two boats were meeting head on and they agreed to pass port to port, they would pass on one whistle. In the same situation, if they agreed to pass starboard to starboard, they would pass on two whistles, which seems simple enough, right? Here is where it gets a little tricky! 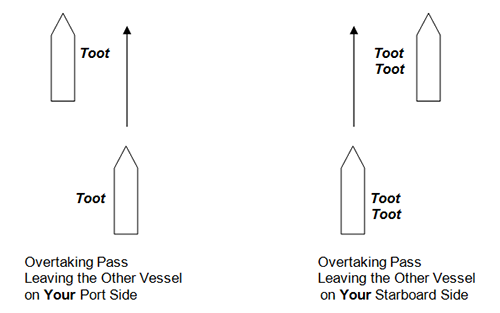 When one vessel is overtaking another and the trailing vessel wants to pass on the leading vessel’s starboard side (passing it on the trailing vessel’s port side), that is a one whistle pass. 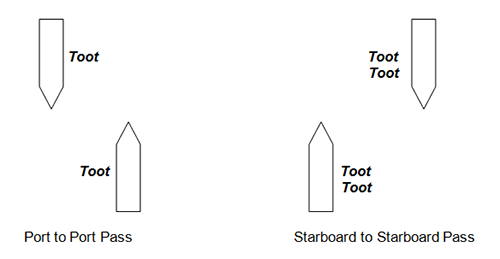 If the situation is reversed, where the trailing vessel is going to pass on the port side of the lead vessel (passing it on the trailing vessel’s starboard side), that is a two whistle pass. This is how we have come to remember whistle signals. In either a head to head or overtaking situation, if you are going to LEAVE the other vessel on YOUR port side, it is a one whistle pass. 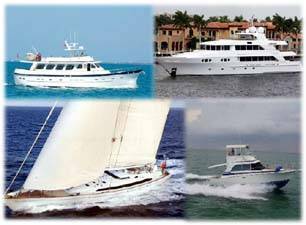 If you are going to LEAVE the other vessel on YOUR starboard side, it is a two whistle pass. Although we now use VHF radios to communicate between vessels to establish on which side we will pass, towboat captains still refer to the pass as either a one whistle or two whistle pass. Stay safe out there and enjoy the journey. Captain George and Pat Hospodar are authors of “Reflection on America’s Great Loop (A “baby boomer” couple’s yearlong boating odyssey) and there new book, “The Great Loop Experience from Concept to Completion (A Practical Guide for Planning, Preparing, and Executing Your Great Loop Adventure)”, which will be available this fall.